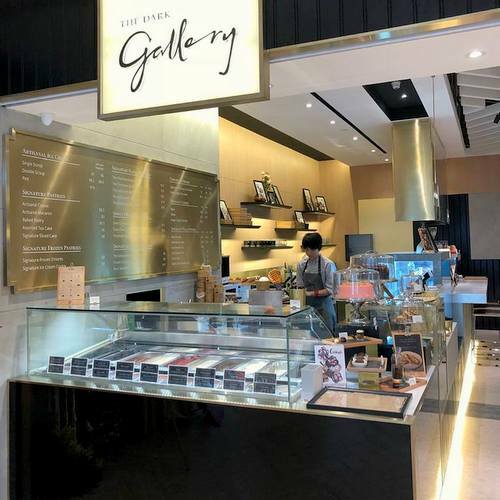 Dessert shop The Dark Gallery has two locations in Singapore, one at Ngee Ann City (391 Orchard Road) and another within Millenia Walk (9 Raffles Boulevard). 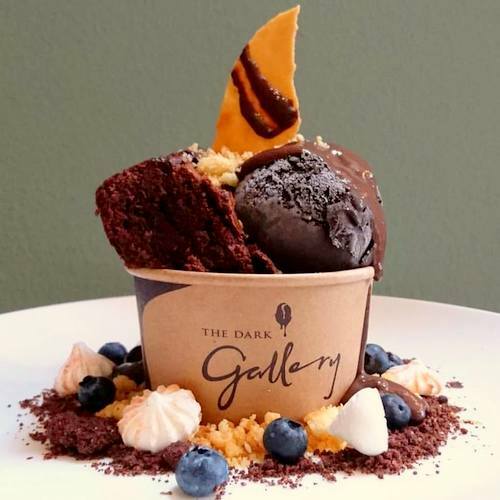 With an emphasis on dark chocolate based desserts and ice-creams, The Dark Gallery has a menu that is really a treasure map of discoveries on the canvas of chocolate. Visiting either one of the shops, you can choose from a range of delicious desserts, such as ice cream cakes, ice cream pints, artisanal premium chocolate bonbons & pralines, single origin chocolate bars, as well as artisanal cakes. …Single Origin 75% Tanzania Dark Chocolate, Single Origin 68% Ghana Dark Chocolate, Sea Salt Butterscotch, Pure Vanilla, Strawberry, Red Velvet, Dark Chocolate Mint, Fresh Peppermint, Japanese Matcha, Caramel Latte, Chocolate Banana, Honey And Rosemary, Salted Peanut Butter, Passionfruit And Basil Sorbet, Pure Coconut Sorbet (Vegan), as well as Dark Chocolate Sorbet (Vegan). The official Facebook brand page for The Dark Gallery is available at www.facebook.com/discoverthedark/. You can also follow the company’s official Instagram account, which in turn is located at www.instagram.com/discoverthedark/.